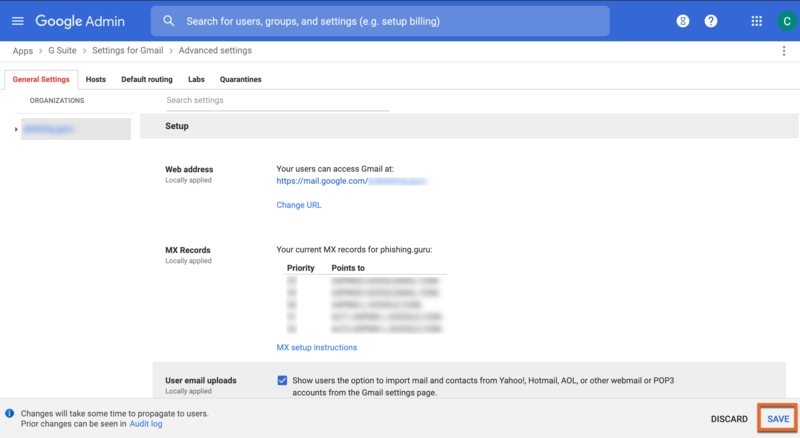 GSuite customers should also disable the return-path header in their KnowBe4 Account Settings prior to sending out phishing tests. Click here to see how to do that. This is the recommended setting if you do not have a cloud-based spam filter in front of GSuite. If you do have a cloud-based spam filter, you should whitelist us by our IP addresses in the filter, and whitelist by header in GSuite. We recommend setting up a test phishing campaign to yourself or a small group after you follow the below steps to ensure your whitelisting was successful. The setting may take up to an hour to propagate to all users, so wait at least an hour before testing. Log in to https://admin.google.com and select Apps. In the Organizations section, highlight your Domain (Not an OU). Note: GSuite does not allow whitelisting by IP Address for individual OUs, only the entire domain. Scroll to the bottom and click Save. The setting may take up to an hour to propagate to all users. Note, we have found that this process exempts KnowBe4 simulated phishing emails from the Gmail banner warnings. However, this is not documented by Google as a whitelisting recommendation. 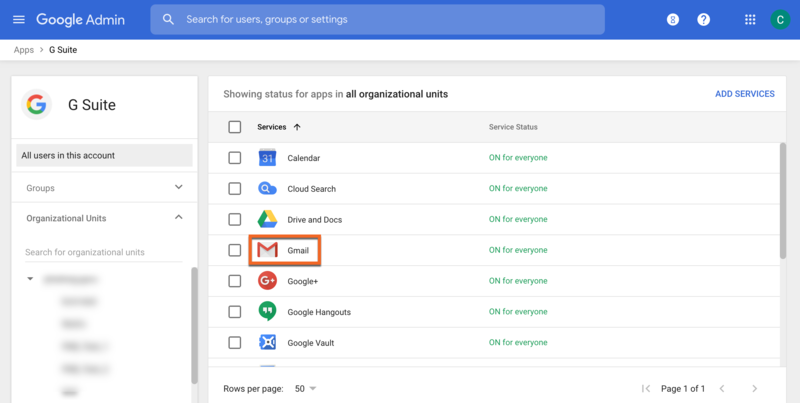 Navigate to Apps > GSuite > Gmail > Advanced Settings. 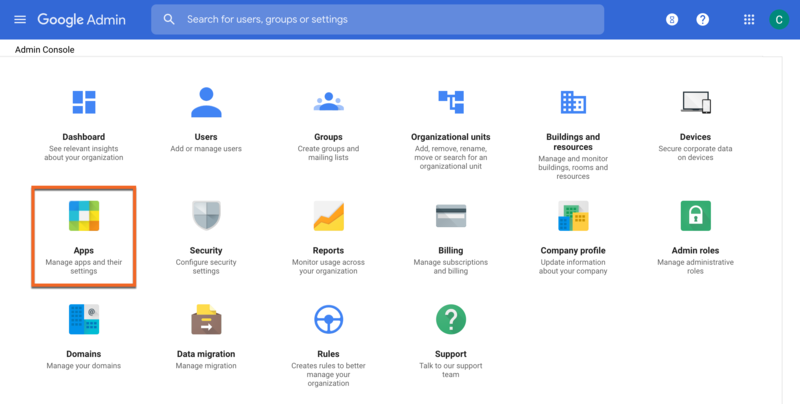 Under General Settings, select your top-level organization (typically your primary domain) on the left. Scroll down to the Inbound Gateway setting located under the Spam section. Hover over the setting and click the Edit button. This will open the Inbound gateway screen. 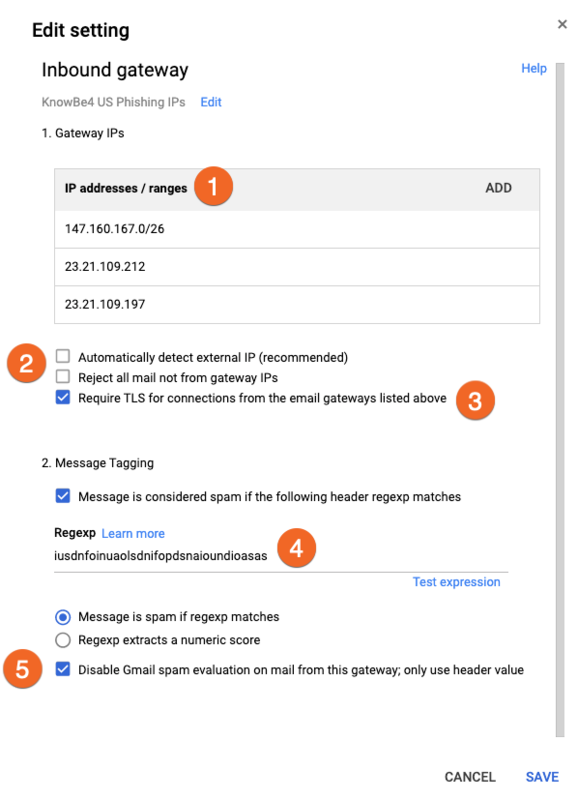 Leave the Reject all mail not from gateway IPs option unchecked. 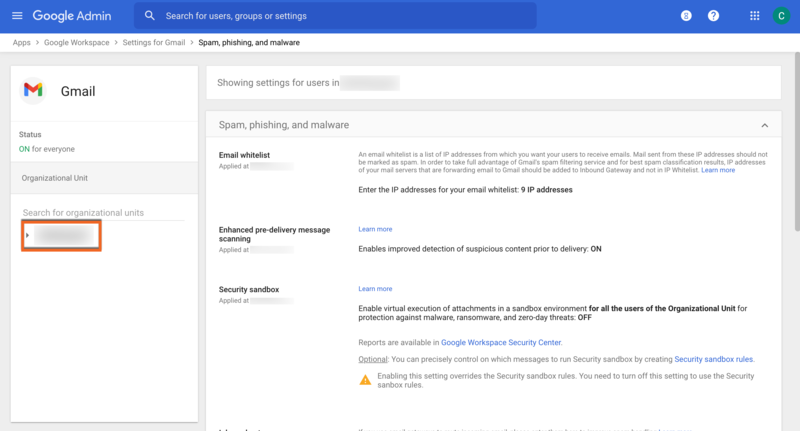 Check Require TLS for connections from the email gateways listed above. Enter text for the Spam Header Tag that is unlikely to be found in a PST email. This field is required. 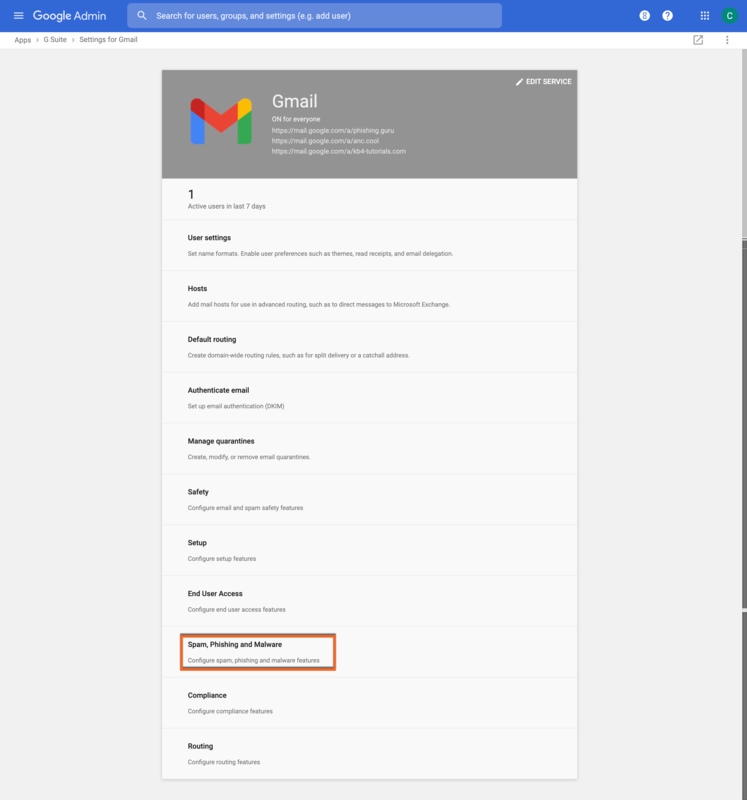 Select the Disable Gmail spam evaluation on mail from this gateway; only use header value option.